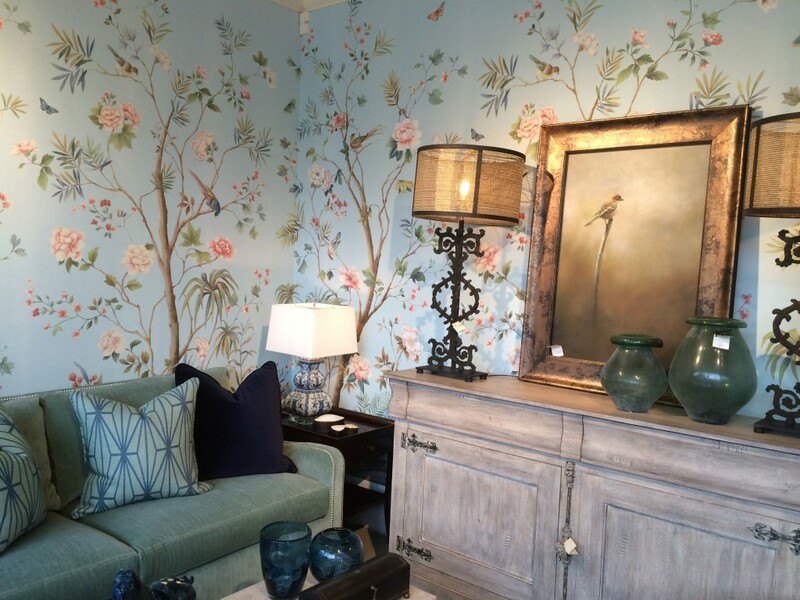 Love the ” Charleston” mural displayed at Phelan’s Interiors in Dallas. 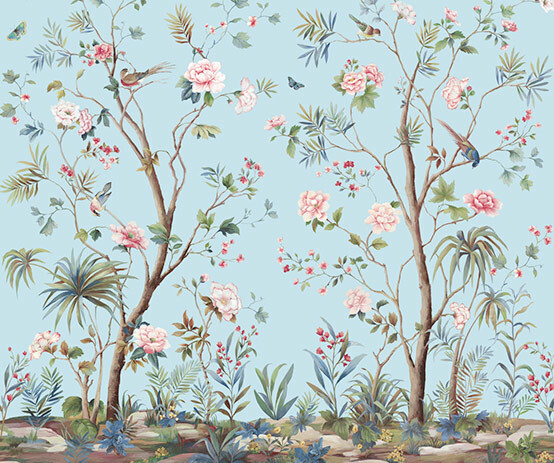 Famous designers love to decorate with these fabulous wallpapers. 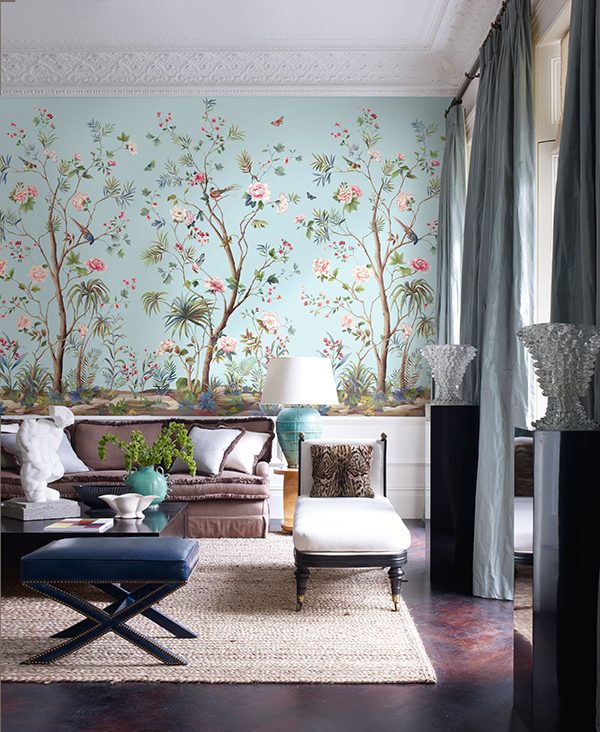 They instantly become art on a wall and make a huge design statement. Looks fantastic!